A new generation of HP Enviro laptops Li-Ion Batteries powered by Boston-Power’s Sonata technology has just been released (Press Release). HP has made this new batteries available for most of the existing HP/Compaq laptops in the market today, including the CQ45, as an add-on sold separately (sadly, not included as part of your new laptop battery). Unlike most laptop batteries included with new laptops that comes with a 1-year warranty (or less), these new batteries comes with 3-years warranty. In fact, Boston-Power claims it’s propreitary Li-Ion battery technology to provide the same rated capacity (as a new battery) for approximated 3-years without any aging effects of conventional Li-Ion batteries on our laptops today. Basically, its a battery that could last for as long as the age of a laptop. 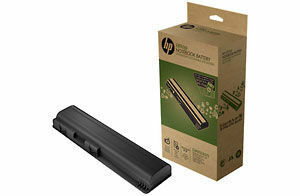 Besides the longer lifespan, the new HP Enviro battery could also be recharged up much faster. It will take just 30 minutes to recharge up to 80% of its capacity. This will be good for road-warriors who could only recharge their battery for a short while before they’re on the move again. Lastly, this battery has been Nordic Ecolabel-certified with practically zero heavy metal. Given it’s longer lifespan, there’s less battery to be disposed off after it’s useful lifespan too. This environmental side of the battery is perhaps the reason behind the name Enviro.